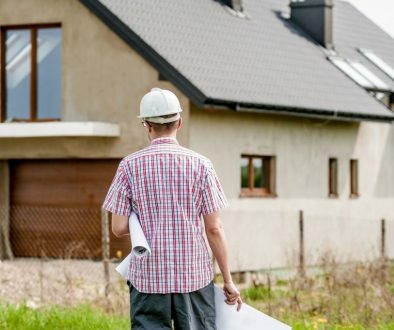 When choosing a dimmer, you will need to determine whether you need a standard single-pole dimmer or a three-way dimmer. A standard single-pole dimmer is used where one switch controls the light. A three-way dimmer is used when one switch controls the dimmer of the light and the other switch turns the light on or off. 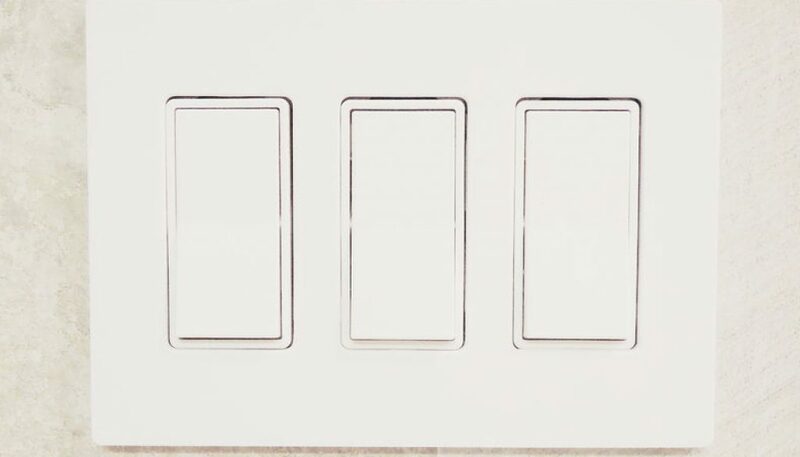 After you determine whether you need a single-pole or three-way dimmer you will need to select the style dimmer you would like. There are many styles of dimmers available and you may want to test the different varieties prior to making your selection. A rocker dimmer could come with an on and off switch or not. This switch lets you set your level of brightness so that you do not have to adjust it each time you turn on the light. Some of the rocker dimmers also have a light on the side so you know how bright your setting is. 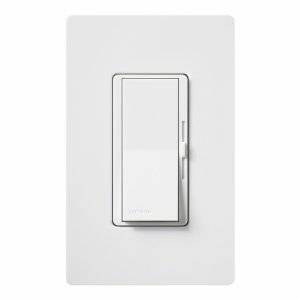 Like the rocker dimmer, the slide dimmer can also come with or without the on-off switch. The bar of the slide dimmer can be pushed up or down to adjust brightness. If the slide dimmer has an on-off switch the level of brightness can be set. 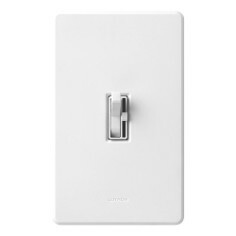 A toggle dimmer fits in a regular wall plate cover, having the same look and shape as a toggle switch. 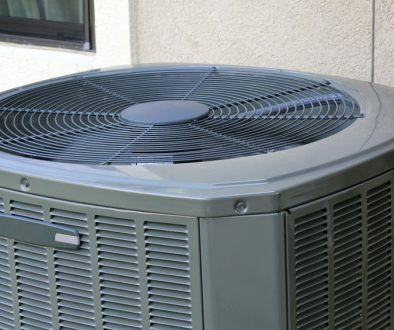 The toggle type either comes in one piece or two, if in two pieces the small level on the side of the main on-off switch adjusts the brightness. A popular choice for decades, rotary dimmers twist left to right to adjust the lights as well as turn the light on or off. 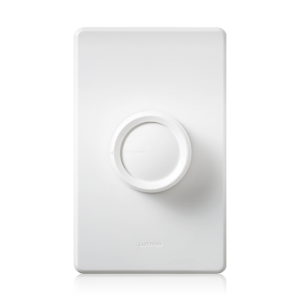 Rotary dimmers conveniently fit in a toggle plate and can be a cost-effective option. In addition to these options you want to make sure the dimmer is compatible with the type of light you have. For instance, universal and CFL LED dimmers can be used for LED lights. 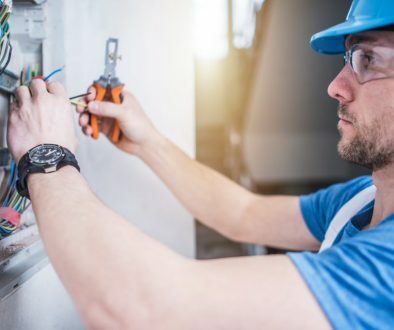 Selecting a dimmer can be somewhat complex and it is always advised to consult with a licensed electrician to be sure you are using the correct dimmer that matches the type of light and switch you need. Dimmers are a great way to conveniently adjust the lighting in your home for not only the atmosphere, but to help save on electric costs. The options available for dimmers are broad and can be tricky to select, however, once installed the dimmer will provide great ambiance for years to come.